Ah, the hybrid bike. It’s probably the best thing to happen to the cycling industry in 50 years. Nothing targets the casual / commuter rider quite like it. That’s for good reason. Hybrid bicycles (theoretically) offer a wonderful balance of capability. Road, grass, trails, what’s your pleasure? The hybrid bike easily handles them all. Right? While there are some phenomenally great entrants into this category, they’re not all made equal. The best hybrid bikes under $500 are a good blend of two styles of riding, capable (but not brilliant) at both styles. The worst hybrids out there aren’t really good at any type of riding. So how does one find a stud in amongst all the duds? I will be offering eight reviews of some affordable, top quality hybrid bikes below the $500 price point, explaining why each one made the cut, and what kind of riding it’s best suited towards. Furthermore, I’ll offer a few tips on how to shop for them, and how to better understand hybrids and their various denominations. *After receiving lots of questions, I’ve decided to expand this piece to include reviews of eight bikes. I hope it helps! Finding a $500 or under hybrid bike with good features isn’t terribly hard to do. That budget will net you a capable, entry-level ride. However, a lot of people stumble when it comes to finding a good fit. I’m not talking frame size. What I mean is, people assume that ‘hybrid’ means one-size-fits-all, and anything with that descriptor will be great on pavement, trails, etc. All hybrid bicycles represent an amalgam of two styles. Traditionally, that means road and mountain, but not always. Hybrids can be a combo of road, cruiser, mountain, or comfort bicycles. The best way to shop is to pick two terrains you ride the most, and find a hybrid with compatible qualities. If you only ride a single terrain (like pavement commutes, or riding across sand, grass and gravel) you may not need a hybrid at all. I want to help you identify a few of the best, cheap hybrid bikes for under $500. I’m going to do so by reviewing two models from each of the sub-categories listed above. Hopefully you’ll find something in this mix that speaks to you! If you mostly cycle on concrete or pavement, you probably want a performance hybrid bicycle. They’re geared to be most capable on road surfaces. Despite their pavement prowess, they have wider tires and a more robust frame than a full-on road bike. You can hop off the road onto a light trail or grass with few problems. The frame geometry is less aggressive than a road bike, which is more comfortable. However, a performance hybrid won’t have any suspension parts like many hybrids do. They are light, agile, fast, and fun to ride. The attractive and balanced Motobecane Cafe Latte is a fine example of what a truly good and impressive performance hybrid bicycle offers. This is a classic example of a performance hybrid. Frame: A strong and lightweight aluminum alloy, triple butted for strength. The fork is made from butted chromoly steel, which adds rigidity. Components: Shifting is about what you’d expect at this price point. With Altus / Tourney derailleurs paired to Shimano Altus shifters, you have a good gearing range, giving you 24 gears to choose from in total. The derailleurs will work really nicely if tuned up properly; if you’re not bike savvy, I’d make sure you get a shop to do it. The wheels are really good quality for the price, with double-walled alloy rims and Shimano hubs paired up to 700c hybrid tires. They’re wider than typical road tires, but still slick enough to make the ride responsive and fun. One of the nice features of the Cafe Latte are the tight v-brakes. They’re quite snappy when tuned up right. It’s worth noting that Motobecane is a fully online presence. Their bikes are never flashy or covered in stickers, but their bicycles often out-perform the big names. For a bike that’s around or under $500, this is one of the best hybrid bikes in the performance hybrid category. If you’re hoping for something attractive, fast, snappy and versatile on pavement, give it a look. The Insight is a brand that Diamondback has been making for a while, with considerable success. It’s a durable, cheap, performance hybrid cycle that checks all the boxes. Like most performance models, this one is built primarily for road use. Frame: It features an aluminum alloy frame (6061) and alloy aero forks. Components: Altus derailleurs and an EZ-Fire shifter make ripping through your gears a joy. You’ve got 21 speeds to work with, and a crankset with 28-38-48T. The wheels are DB Equation double wall alloys, and they’re paired up to Kenda KwikTrax tires, which have a thickness of 32C. That’s obviously wider than a typical road bike, and they have some bite to them; they’re certainly enough to handle a rip through the park. Still, they’re definitely suited to urban / pavement riding. On hills or flats you’ll fly with this bike. The brakes are upgraded 160mm rotor mechanical disc brakes, which are more effective in rain and muck and simple to maintain. The entire package is slickly put together and lovely to behold. The whole Insight series is worth checking out (or the almost identical Clarity, if you prefer a female frame.) It’s a good hybrid bike for well below the $500 mark. Earlier on, I mentioned the sport hybrid category. This is a fairly new subset in the hybrid world, but they’re becoming popular, fast! Why? They boast a smart combination of mountain and road competencies, and they manage to do both jobs fairly well. That said, the sport hybrid is probably more at home on the trails than on pavement. Think of them as ‘mountain bike lite’. They’re usually outfitted with beefy tires, strong brakes, lots of clearance and a hardtail frame. They feature front shocks with a good amount of travel. That all being said, the frame is usually a bit less aggressive (and more comfortable) than a full on mountain bike, so they make fine commuters. The popular Fuji Traverse is an affordable, fun, and stylish sport hybrid bike that can take you from road to trail and back again. While not as capable as a purpose-built mountain bicycle, it can hold its own on rougher terrain. Frame: The bike has a butted aluminum alloy frame, with a curved downtube that gives the bike a dramatic look. It has an SR Suntour front fork with around 50mm of travel. Components: The derailleurs are Shimano Tourney, and the EZ-Fire shifters mean you can fly through the gears, especially downshifting. With 21 speeds, you have a good range for flats or for hills. Tourney is an entry level product, so you should expect to do some occasional adjustment to keep it in fighting trim. It’s standard issue for the price point. The chainring is also Tourney, and features 48/38/28T gearing. The Vera EOS tires are wide at 38C, but they’re not super ‘knobby’, so you won’t have too much friction when pedalling. The wheels are Vera Terra, a bit heavier than I’d like, but for the price tag they’re fine. A nice feature: the bike features 160mm Tektro mechanical disc brakes, which offer you a bit more stopping power, precision and control. I ride a sport hybrid bicycle and they’re a blast. This is one of the top hybrid bike choices for $500 or less, especially if your commute takes you off-road fairly often. The Traverse comes in both a unisex and a women’s frame, with identical performance. The San Rafael DS1 bike by Marin has a true sport hybrid design, and it’s paired with an upright riding position. There’s a lot to like here. Marin is an established, competent brand, which is probably why they’re able to put together such a nice ride at a reasonable price. Frame: The bike largely consists of alloy components, making it superior to many of its competitors. The frame itself is triple butted aluminum, saving you a lot in weight. Components: The wheels are Marin brand double walled alloys, paired to hefty 40C tires with a moderate tread. You could easily upgrade both the size and the tread of these tires to tackle rougher trails, but they’re pretty beefy as is. The forks offer moderate travel of 63mm. There’s no quick-change hydraulic lockout, but they do have preload adjustment, meaning you can set the stiffness. It’s a nice feature to use if you feel like a bit more control on pavement, or a bit more shock absorption on trails. The bike uses a Shimano Tourney derailleur setup, with a total of 21 speeds to switch between. The brakes are mechanical caliper disc brakes, and they do an excellent job in wet or dry conditions. The upright ride, long adjustable seatpost and ability to ride on some trails make this one a real winner in my books. It’s only a little under $500, but this hybrid bicycle is worth every bit of that price tag. OK, so now I want to take a look at a dual sport style hybrid. These have been showing up all over the place lately, and like the sport hybrid they have broad appeal. The hype makes sense! They are fun, comfortable and compelling to ride. If I had one word to describe how a dual sport bicycle rides, I’d say ‘smooth’. They’re a nice intermediate spot between the road-hungry performance and the trail-friendly sport hybrid, offering a little of each world with a very broad range of riding capabilities. Most dual sports have a comfortable, upright riding position, with wide riser bars and a light and snappy frame. They can hop off the road for a quick trail jaunt, and yet you won’t notice the frictional drag of heavy tires and unnecessary components. Dual sports sometimes have front forks, but not always. 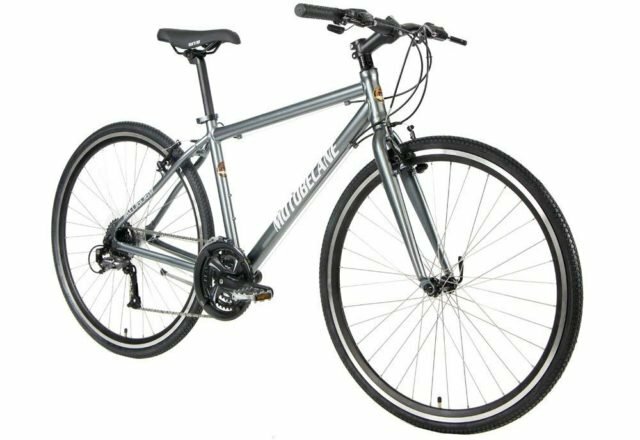 The Diamondback Trace is a great example of this genre, and also one of the better hybrid bikes in the roughly $500 price range. Even though it’s near the edge of the budget, I wanted to feature it because it is so well-rounded. Frame: First off, this is a gorgeous bike. The 6061 aluminum alloy frame features a slightly curved top tube with oversized tubing. The front fork is a bladed high tension steel. The steel is intentional; it’s designed (in dual sport style) to minimize vibrations and keep your ride smooth and precise. The effect is a very responsive and agile ride. And it’s pretty fast too! Components: It has 21 speeds, with an Altus rear derailleur and a 48/38/28T chainring, along with EZ-Fire shifters. These derailleurs and shifters are fine at this price point, and they’ll serve well if you get them set up right. It sports a pair of 700c Weinmann double walled alloy rims, and the bike rolls on 40c Innova tires, which, despite their width, actually do very well on pavement due to a moderate tread pattern. If you’ve only got $500 to spend, this is a great hybrid bicycle with an inspiring ride quality. It’s especially suited to the trip to work. If you’re looking for a commuter, I’d probably rank the dual sport as a great category to look into in general. Raleigh is a widely recognized brand and rare in this price range, since they’ve been trending high-end expensive in recent years. They don’t worry about flash or shine, but instead offer bicycles with quality components and minimal brand marks. I like that. Their Alysa 2 bike is a really good bet. The frame is simple, effective and rugged. The components are well chosen, and the whole package is very cohesive. I’d classify this as a dual sport hybrid bicycle, favouring performance. Either way, it’s rugged enough to handle a range of riding surfaces, and therefore it’s perfect as a commuter. Frame: It has a full aluminum alloy frame to ensure it’s light in weight and very nimble. I just love the lines, it seems to hug the wheels. The whole thing weighs about 26 pounds. It’s lacking in suspension components, but wide-ish tires and a comfy, neutral riding position make this a pleasant pedaling experience. Components: The drivetrain is standard for this tier, featuring Tourney components, and a set of Tourney EZ-Fire shifters. In total you’ve got 24 speeds to play with. The brakes are good-looking and effective mechanical discs. The wheels are full alloy, double-walled Weinmann rims paired up to a set of 35C Kenda Kwick Tendrils. I actually really like the tread pattern for rainy conditions, and they could certainly tackle grass or gravel pathways. 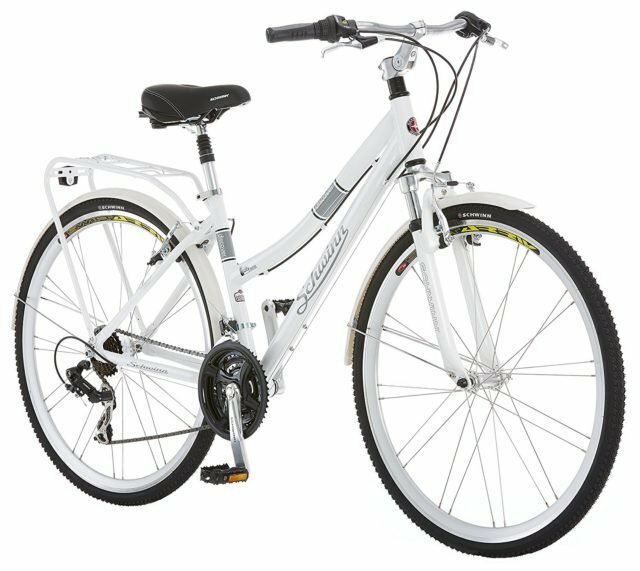 If you want a cheap brand name hybrid bicycle with the potential to last for many years, the Raleigh Alysa 2 is a good candidate. For many riders (commuters included), comfort is a necessity. It should be noted that comfort in a bicycle almost always comes at the cost of performance, because a more laid back riding position gives you less mechanical advantage. Many people get caught up in gimmicky ‘comfort features’, like a heavily padded seat, swept back handlebars and useless shocks. In my opinion, one of the key contributors to rider comfort is frame geometry. A properly designed comfort hybrid has a chair-like, upright seating position. This not only improves your ability to see and react, it keeps you feeling stable and comfortable. Because their emphasis is on an enjoyable ride rather than performance, comfort hybrids tend to be the least expensive of the bunch. There’s little point in putting fancy componentry on a bike that won’t realize any performance advantage from them. The super comfy Diamondback Wildwood (formerly Edgewood) is a brand that I’ve admired for a few years now, and fortunately it has become popular, so they keep renewing it! It’s one of the best, cheap hybrid bikes for comfortable rideability. At far below $500, it is eminently affordable, but it’s also a step above what you’ll find in department stores. Frame: You get a 6061 aluminum frame, which turns what might have been a heavy clunker of a bike into a manageable option. Compared to the others on this list, you’ll notice that the frame is shaped a bit differently. It is designed with an upright riding position in mind. This bike is perfect for park rides, relaxed cruising and weekend fun. Components: For shifters, it has a standard Shimano EZ-Fire configuration, paired to base level derailleurs on the front and rear. The shifting setup is definitely the weak point in this model, but that’s fine, because they work. I’d recommend that you get it built professionally. The wheels are double walled aluminum alloy, and they spin well enough. The tires are Kenda Cross 40c, with a moderate tread suited to pavement, grass, hard sand and light trails. The linear pull ‘V’ brakes are actually quite precise; when adjusted correctly you can really stop on a dime. As for comfort, besides the frame geometry you have front spring forks (with 63mm of travel) and a spring shock seatpost to absorb vibrations and bumps. The Wildwood is a cheap hybrid bike with excellent reviews, and it’s a great choice for a casual rider or occasional commuter. Often, a rider simply wants something that’s affordable, simple to set up and operate, and comfortable to ride. The always-popular Schwinn Discover checks all those boxes. It’s perfect for a day at the beach, a trip through the park, or an easy daily commute. Frame: Despite the low price tag, this bike impresses with an alloy frame and an integrated bike rack. That’s handy and useful for fetching groceries and such. Components: The wheels are an attractive set of moderate V rims paired up to fairly wide tires with a bit of tread. There is a suspension fork, but that’s more for softening bumps than for handling off-road riding. The gears are controlled by SRAM grip shifters, and base level derailleurs. The drivetrain is very effective, but basic. Still, you have 21 speeds at your disposal, and when tuned properly they behave well enough. The riding position is very upright, comfortable and elegant. It definitely has a cruiser-type feel to the ride, though not quite as low slung. I love the extras. An included bike rack, front and rear fenders, suspension seatpost and adjustable handlebars are so nice to have. The reasonable price tag is a factor too. Available in both mens and ladies frames, the Schwinn Discover is an inexpensive comfort hybrid that’s perfect for casual riders. For many people, $500 is a lot to spend on a bicycle. The truth is, I personally wouldn’t dip much lower than that. Once you get too low in price, manufacturers have to start making deep compromises with components and frame quality. A good, affordable hybrid bike has a nice balance of decent components. Even at the limits of our $500 budget, you’ll still be looking at base level shifters and derailleurs. The cheaper the shifter, the rougher and less precise your gear shifting will be, and you’ll be required to adjust your drivetrain more often. I always recommend that a rider think carefully and realistically about their riding needs. Ask yourself questions. Will you be riding primarily in the city, for example? If you think you’ll be out on it every day, budget for a pricier bike. It’s not worth tearing your hair out just to save a few bucks. If you’re a casual rider, and you don’t plan to put your bicycle through its paces too often, a cheap hybrid bike for under $500 bucks will probably make you quite happy, depending on the model and brand. Thank you for reading! Good luck. I found this while researching bikes for seniors. Cursory google-surfing “seems” to show that the hybrids just might be the best way to go for seniors, but I’m basing that on a small sample set of searches (thus far). I’m in my mid-sixties, decent shape (but carrying some extra weight), my feet and knees complain way more than they used to. My wife is in her early sixties, better shape than I (not overweight) although not as strong as I am. Her feet can complain from time to time, but not her knees. She is starting to develop some arthritis, but more so in her hands. We will be weekend riders, taking it up to get out more and to get the exercise my doc says I need. I expect we need to sit more-or-less upright to be kind to our knees and that we’d not want a heavy framed bike. We can spend in the $400 to $500 ballpark (per bike). I’m hoping for some recommendations – this was a great article, but seems to be a few years old. Thanks in advance for any advice you can share – and thanks for this site! There’s some good content here. Hi Rique, yes the article is a few years old but I update it frequently to keep everything fresh. 🙂 For you I’d recommend either of the comfort hybrids listed towards the end, the Edgewood or the Discover. They should be perfect for the type of riding you’re hoping to do! I am looking at buying two Hybrids very soon and they would be for my wife and I. These bikes will be driven on the road and bike paths 90% of the time. Once in awhile they would travel along paths that are not paved. 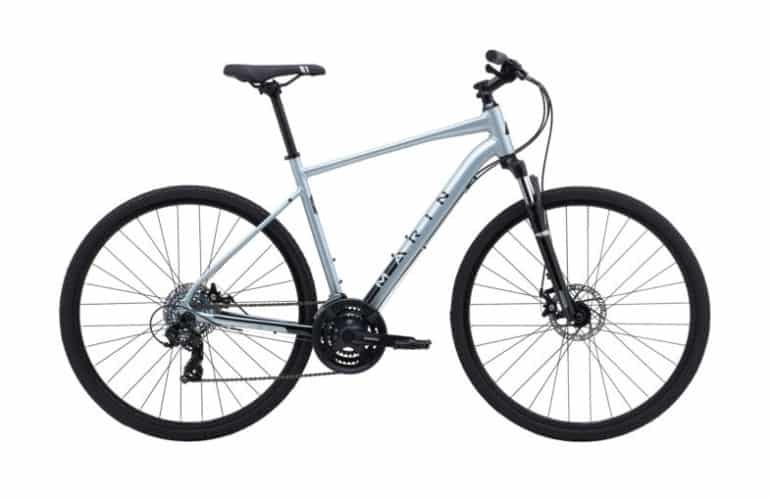 We have been looking at Trek FX 3 bikes but they are sitting around the $700 mark and more if we want disk brakes. Trek is a well know company for building quality. I don’t mind spending the money as long as I am not paying for the name on the side of the bike. So 2 questions..
Is Trek worth the price tag and are disk breaks worth paying an extra 100 bucks? I understand the better breaking power in the rain but I will tell you, we will not be going on a bike ride in the rain. Looking for opinions. Fantastic write up! Your picks seem to be on par with the majority that are out there. My girl friend and I are looking to start out biking and will be joining a bike group that puts in a decent amount of miles around town and a buddy that’s training for a 100 mile trip. The majority of our miles will likely be on pretty decent pavement, but I’d expect a fair amount of rougher city roads, cracked sidewalks, and some trails but not what I’d consider true off-roading. Essentially we want something good for extended road miles but can handle some bumps. Should we care too much about front suspension? All of our local shops seem to have their own small specific group of brands and push us towards what they sell. Anything you’d steer us towards or away from? Thanks so much!! L BS. AWESOME BIKE. THANKS. The Giant Escape series is ~$600 or less and fits your bill. I just bought the city disk 2 (w/rack and fenders) for $600 and it’s great! Thanks for the great article. My wife and I have been exploring Minneapolis bike trails more this year. Looking for something better suited than my Univega zig-zag commuter and her Specialized Rock hopper. She’s managing a rare form of rheumatoid arthritis but is still VERY active. Thinking performance hybrid for me, dual sport for her. There are a million Alberto Contador wannabees on Minneapolis paths. We just wanna’ have efficient bikes with an emphasis on fun. Thanks so much for this! I was searching for an all purpose bike for my 14 yr. old. He is incredibly active and rides his bike EVERYWHERE. He’s pretty rough on them (hence needing a new one). I chose the Nashbar Trekking 19 inch. I am hoping it will be durable enough for him and get him where he needs to go. Plus I am hoping it’s good for longer distances so he can ride with me as I train for the PMC! It was strange ordering on line and not trying out ahead of time but it should be arriving this week. Can’t wait! I will let you know how he likes it. Thanks again Will! I have ridden a Trek mountain bike for a number of years. Two years ago I got tired of seeing people who were barely peddling glide by me while I was working my tail off. I’m no slouch, I ride for fitness, so I dropped by my local bike shop and asked what gives? Why am I working so hard, while others aren’t? Seriously, they would push down on their pedal and glide for what seemed like a tenth of a mile (probably an exaggeration, but…). Anyway, I was told my wheel size is smaller since my bike is around 10 years old and my tires were likely slowing me down too. Since I also ride on the road, he changed my tires to thinner, less nubby ones. That helped a bit, but not much and yesterday, when I was on a dry trail with several larger stones, I had to be so careful. So I want to upgrade. I’m not necessarily interested in working less, but I really would like to be more comfortable so I can stay out for a longer period of time. I want a bike that performs equally well on trails (rail, state park, etc. not rugged mountain bike trails) and the road. Should I be looking at the Sport Hybrids or the Dual Sports? Also, I am a tall woman (5’9″), anything I should consider in that regard and finally, what’s the purpose of the “female frame” (I know the original purpose)? Is it just easier access for people who can’t swing their leg over? Any feedback will be greatly appreciated! Hi Debbie, I’d opt for a Dual Sport, better for trails. You’ll find it a bit less work to ride than a mountain bike due to the tires, gearing and frame geometry. As for the female frame, no real difference, though they tend to be a bit smaller than “men’s frames”. As you’re taller, I’d encourage you to go with a men’s frame, no reason not to! Hi Will! 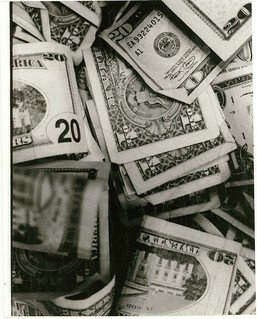 This is such a great list and when I have the funds I will refer back for sure. I know you (and most professionals) recommend having a budget of at least $500 to get a bike but I have *maybe* half that to spend. I’d like to get my boyfriend a bike simply to ride to his office & back (which is only about 5 minutes away via car). Can you recommend me something inexpensive but still reliable? Hi Mo, I can’t recommend much in that budget. So I used to work for a major big box retailer that would sell bikes in the $100 – $250 price range. They’d actually be surcharged to import them, because the government knew these bikes would be in the landfill within a year or two. We called ’em junk bikes… hard to assemble because half the components are plastic. That’s not to say some exceptions don’t exist… Diamondback produces some decent, inexpensive bikes, as does Nashbar. Or perhaps you could look for something used on Craigslist? Look for big, known brands like Diamondback, Trek, Giant, Norco, Specialized, etc. I bought a used Trek. It looked to be in good shape but I didn’t realize how old it was. First the rear wheel bearing went out and after owning less than a year the frame broke near the back axle. Just a cautionary tale about saving money by buying a used bike. I don’t know if you’ll see this but I’d like to ask for help. I’m buying a bike for my dad. He’s 60 with knee surgery. I want something comfortable for him to ride with ease on paved grounds and sometimes a little dirt. Something that is comfortable on his back too. 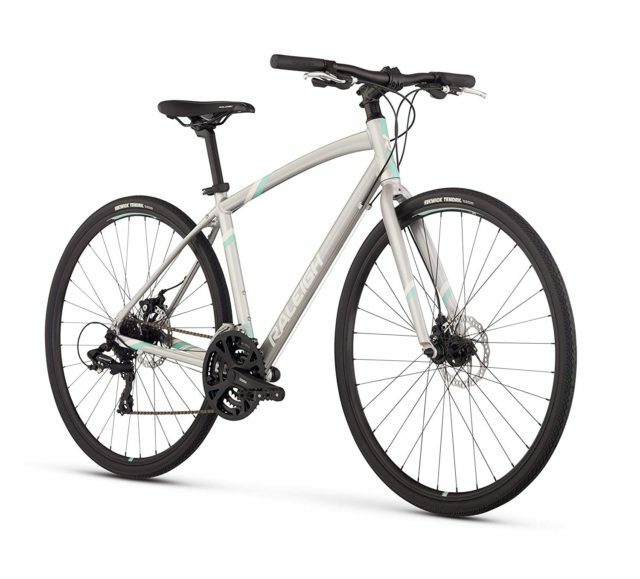 I was thinking the trek traverse, trek absolute, trek 7.1 are the options I have so far. Can you help me out please? Your article got me thinking the traverse is a good adorable casual bike for a not to frequent ride. Hello Amar, yes I’d recommend something like the Traverse, or the Diamondback Edgewood. An upright, comfortable ride that will not put too much strain on his knees. Hope that helps! What do you know, if anything, about the Giant Escape hybrid bike? We are a family of four (2 adults, 2 teenage sons) looking to get new hybrid bikes for all of us, mostly for trail riding (The Great Allegheny Passage), but some road biking as well (we live in a very hilly city). The Giant Escape was recommended to us by two independent bicycle stores. Our budget is just about $500 or less per bike. 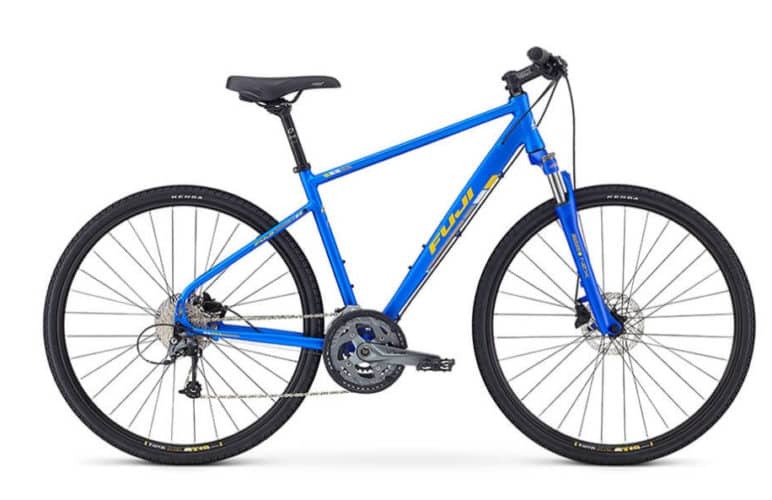 I have an old Trek mountain bike, and I just read that the Trek 7,2 FX hybrid bike (which retails for just under $500) is a good one as well. Thanks for any suggestions you can provide! Hi Carina, the Giant and the Trek are both great options at the price, and they’re quite similar. You can’t go wrong with either as they’re solid, proven brands. I’d choose whichever one is more enjoyable to ride! Hope that helps. Thanks for your informative article. 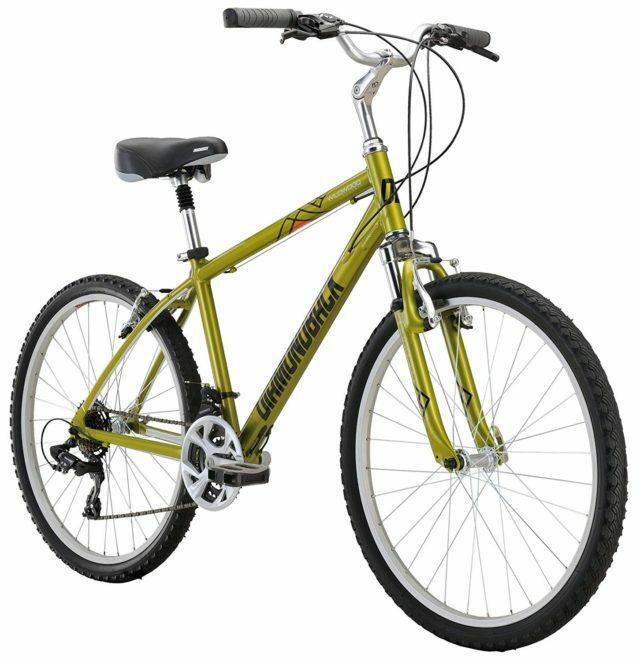 I’m looking for a new bike to ride primarily on rails to trails, park and neighborhood roads. We usually do 1 week trips….250-300 miles. Our next adventure will be on PEI. Comfort is very important as well as it’s weight but also the need to carry our clothes and personal items. We’ve had short wheel base recumbents for years but it has always been just a bit too long for me and I never got used to be being lower to the ground. I love the thought that I can keep it around $500. Thanks for your help. Hi – Thanks for a great article plus the helpful responses to the questions (many on my list). 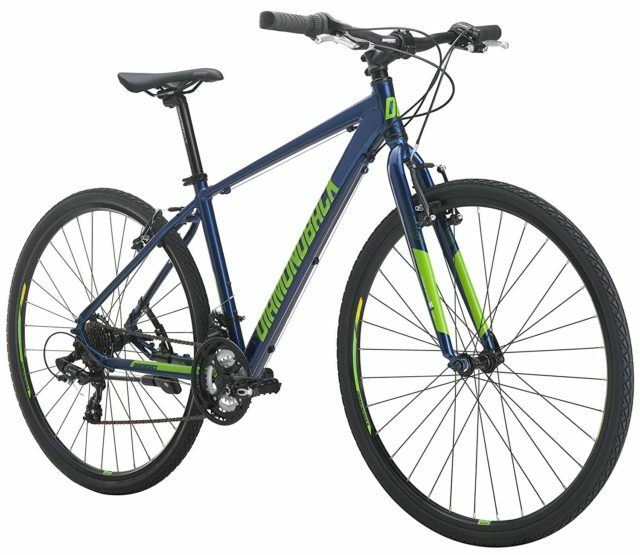 I am around 5’2″ looking for a women’s bike that can be used to ride around town and good enough to take me on long urban trails. I was leaning towards the performance hybrid. Am I better off looking at the comfort hybrid. If I go with the performance hybrid, what is your experience with the women version of the SE Bikes Monterey? Hi Will – Since I last wrote to you, I took a look at the Diamond Vital and it looks like that may be the way to go ? Thanks again. Hi Niko, the Vital looks like a good option for the type of riding you describe! I just moved out to Palm Springs, and since most everything I need on a daily basis is within about 4 miles of my home (store, gym, restaurants, bars), I wanted to use my car only when necessary (like at night since it’s dark here by choice) and sub in a bike. But there are also lots of decent mountain biking trails around here, too. It sounds like a performance hybrid is the choice here, and thanks for the article! I’ve heard Palm Springs is awesome! Glad to help. What do you think about the Nirve Starliner 7 speed? Hi there Lorrie, honestly, I think that Nirve bikes typically cost too much for what they bring to the table. You’re paying a lot for a certain cruiser look, while components aren’t necessarily that great. 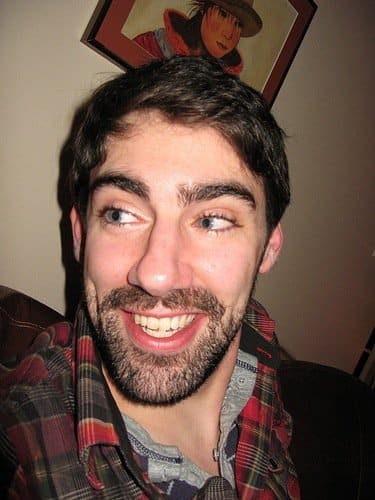 Hi Will, I am trying to decide between the Insight 2 and the Insight 3. I am no expert at bikes, but the folks at the bike shops say that the insight 3 has slightly better components. In your opinion, do you think the insight 3’s upgraded components are worth the additional $100 in price. I mostly expect to ride the bike in the summer around our neighborhood (lots of hills) and around some trails when we go camping with our young kids. Hi Harris, the main difference is in frame and derailleurs. You’d be looking at a smoother shifting bike with the 3. That being said, will you notice a palpable difference in the type of riding you describe? I don’t think so. So I’d go for the 2! I started riding again 4 years ago and was riding my old Fuji but wanted something for all the Trails in my Town so I didn’t do any research just went to a Bike Shop and ended up paying way to much for a 2001 or 2002 Trek Clyde but for just starting again it served its purpose I was riding on a mostly gravel , dirt trail about 5 miles a day . After 2 years it wasn’t cutting it for me I was now riding over 10 a day and not on the trail any more but on Country Roads and sometimes over 20 miles ,my Bro-in-Law gave me an Old Diamond Back “Fleet Streak” which I loved it was more what I needed but NOW I’m doing 80/100 mile rides my price Range is limited I’ll probably by used this time NOT at a Store . What would you consider a Good Bike for long hauls with lots of inclines that never seem to end and lots of hills but I need to keep a pace of at least 12 mph ( usually more) for Charity Rides so I want something that’s goes fast with the lest or min. effort I still want it to be fun and I’ve done a few that were just grueling I’m thinking I need a Touring Bike? Hi Curt, yes with the miles you’re putting on it, a touring bike is probably the way to go! As a casual rider, mainly going to the local market or riding the strand, would you suggest the Voyageur Commute, or the Searcher 3? Also, I’m 48 years old. This will be my first venture into purchasing an introductory yet higher than usual price range of a bike. I’ll use it for mostly urban travel. What are your thoughts on the Trek Marlin 5? Sounds like a sport hybrid or dual sport would be a good option for you. Maybe the Schwinn Searcher would be a good place to start! Firstly great article btw, very informative it’s helped me greatly. I’m writing to you from Melbourne, Australia & I’m in the market for a daily comfortable commuter that will occasionally venture on to dirt roads & the odd trail, however, it will spend 80% of its time on bitumen & concrete surfaces. The bikes I’ve checked out are: Giants Roam 2 or 0 Disc, (2014/2015) & the equivalent bike in Cannindale, Trek, Specialised, & Norco. Whilst I haven’t riden them all, I’m looking for a bike that will last & is fitted with quality running gear, shifters, hydraulic brakes forks, wheels etc. as standard. I’m mechanically oriented so I appreciate higher quality components..! Are there any models amongst these brands that you would recommend…? Also are there variants (Different specs) of these models sent to different regions or countries..? Thanks again for yr review . Thanks for the very good and helpful article. I am targeting a hybrid in the $500 to $600 range, and have targeted either a Trek FX 7.3 @$600. 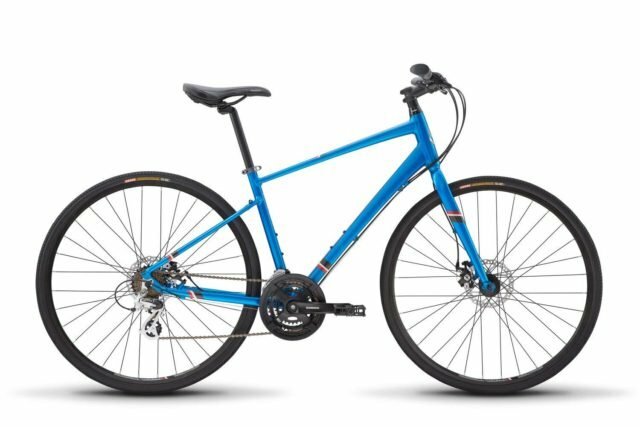 or a Specialized Sirius sport @ $560..
Do you have an opinion on these 2 bikes and is there anything you might know about them to help me make choose between them? Hi Neil, both bikes (and brands) are great. Similar gearing and equipment. Both use Acera derailleurs (though the Trek uses an Alivio on the rear, which is a slightly better component). The frame geometry is very similar. They’d both make excellent daily rides. No red flags. I’d say go for whichever one you find more visually appealing! Thanks for the reply Will , I am very appreciative of your input. What do you think about the Pavan hybrid? Hi Lisa, I’m sorry I’m not familiar with that one. Do you have a link? I bought a Diamondback Insight and put well over 3,000 miles on it the first summer, alone. Easier to ride than my friends bikes that cost hundreds more. Only (additional) money I’ve spent on it has been; 2 new tires (worn out), countless tubes (my fault), a 2 rear wheels (first let go from hitting curbs too hard) and second after I got hit by a car (as well as front wheel), new (metal) pedals and a padded seat. Bearings/hubs are still good, chain, gears, derailer, frame, bars, brakes, brake lines, etc are all still fully functioning. It is one SOLID bike. Glad to hear such a ringing endorsement Rocket, thanks for the comment! It’s a great bike. Hi Pavan, well, aside from the Fuji Traverse, you could also look at the Schwinn Searcher, the GT Transeo, the Norco XFR, and the Giant Roam. The latter two are a bit above the $500 budget point though! Is Apollo Transfer 20 a good bike to buy..? Thank you for this helpful article! I prefer to purchase a bike at a local bike store but they don’t always have the brand, size, or model I want. I see there are options to purchase the bikes you mention online. Do you have positive experiences with buying bikes online? For instance, are the companies reliable, are the bikes easy to put together, and would you recommend getting a tune-up after you have used the bike a few weeks? Hi Claire, good questions! I’m thinking of putting together an article on this exact subject. Most major online bike retailers (such as Jenson USA, etc) are very reliable. Amazon is another great source, since it’s often small bike shops supplementing their income by selling a portion of their stock on the web. I’ve had very positive experiences with online bike retailers. Bikes purchased online usually come in a long, rectangular box, sometimes with instructions. Assembly typically involves unpacking the bike, attaching the front wheel, the handlebar, the pedals and seat, adjusting the brakes and gears, and ensuring the already attached components are tight and properly adjusted. It’s not terribly difficult. However, I’d only recommend building it yourself if you’re mechanically / bicycle inclined. There are various online assembly checklists you can follow, though some are probably overly meticulous. If you don’t feel confident to put it together yourself, you could reach out to a bike savvy friend to do it for you, or you can take the whole box to a bicycle shop and they’ll assemble it for a fee (usually around $50, ask beforehand). That’s probably the easiest and best option. Often you end up saving money, even with the assembly fee factored in. And yes, I recommend a basic tune-up after riding it for a while, because gear and brake cables tend to stretch with use. Long story short: don’t be afraid of online retailers, they’re a good alternative to the local bike shop. Hope that helps!